When we become aware of the truth about the real dynamics of a toxic relationship we participate in, we, for obvious reasons, may decide to stand up for ourselves and break away from it. However, more often than not this is a highly difficult process. It’s easier if it’s a random person on the street, but much harder if it’s our toxic mother, father, grandmother, grandfather, brother, sister, aunt, uncle, spouse, boyfriend, girlfriend, friend, or acquaintance. If an unknown person comes up to us on the street and hits us in the face, we don't feel that such a situation is a dilemma wrapped in a conundrum. We don’t feel bad for feeling angry, upset, hurt and wanting to get away from this person. Then why do we feel confused, scared, shameful, or guilty if we want a healthy relationship or to get away from a toxic person that is closer to us? It’s confusing, scary, and difficult for us to set boundaries with toxic people who are close(er) to us because by being abused, controlled, and manipulated as children we have learned that other people’s needs and preferences matter more than ours, that you have to be more concerned about the other person than about your own well-being, that our perception of dysfunction is invalid, that love includes abuse, lies, and pain, and that you are here to meet the other person’s wishes. If this was the psychological atmosphere in our relationship with our caregivers when we were children, then we became programmed to replicate them in our close relationships as adults. Intimacy becomes associated with anxiety, pain, confusion, control, and managing the other person's feelings. So when you try to stand up for yourself or break out of an unhealthy relationship, you may have this internal struggle going on. You may feel that by finally seriously considering your well-being you are acting unjustly and harming the other person (while actually quite the opposite is the truth). After all, we have learned that we deserve bad treatment because we are bad people for having our emotions, needs, thoughts, interests, preferences, perceptions, and instincts – for having an authentic identity, for having a self, for having boundaries and standards. Therefore right now these inflicted, untrue, and internalized beliefs are in contradiction with the truth that this environment is not good for you, and you may sink into self-doubt, self-blame, and fear. All of this may strengthen your self-doubt, and you may feel deep shame and guilt for starting all of this or even for doubting the other person’s “love,” level of “care,” and true intentions. You may remember times where they treated you nicely (and forget the ones where they did quite the opposite). You may feel that you are morally “bad,” that you are “hurting” the other person, that you are acting “selfishly,” or that you are “ungrateful.” You may also be scared of other people’s judgment and rejection if the preceding is indeed true. After all, being labeled as bad and rejected or attacked for it is one of the worst things that can happen when you are a child. 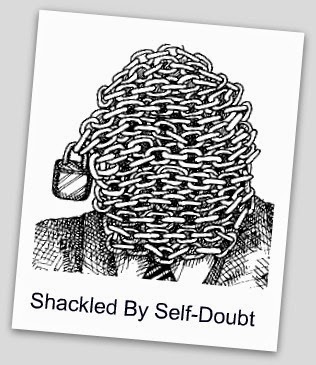 If the shackles of self-doubt become too strong, you may tend to accept the rationalizations and side with the person you are trying to set boundaries with. This is the very same betrayal we have experienced as children when the people who were responsible for our well-being hurt us, failed to protect us, devalued us, or didn’t believe us. If we, as children, are betrayed and invalidated, we learn not to trust ourselves, which often leads to self-betrayal. This is a huge topic, therefore I decided to split it into at least three parts. In the second installment I will talk about another thing we learn when we grow up in a controlling environment – that is learned dependency and helplessness. Stay tuned! Thank you for writing this! Very insightful and helpful to me right now as I try to set boundaries with and extricate myself from a huge triangular mess with my parents. Thank you for this piece. I'm experiencing this with the property owner where I live...she is suddenly being ominous and invasive. I suddenly feel unsafe here and affordable housing is diffiicult to find. I feel very alone to save myself. Your posting reminds me to stay clear and recognise abuse ...I feel helpless and frightened but you remind me I'm not. I'm coming more out of dissociation as I work in this journey to heal and be able to find my way and to step out towards self actualization, freedom, and health. Your information is very helpful and so accurate. iv'e had no contact with my nm for about 10 years, behind my back she started up the smear campaign against me and has turned everyone against me, it's all my word against her's. i'll never give up until she's exposed. she's manipulating, lying and fooling absolutely everyone. 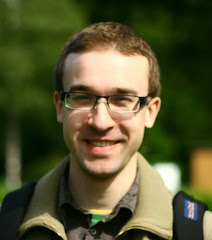 Hi Darius, I read the 2 parts on this subject and I searched for the 3rd one you indicated in the end of the first article ("I plan to write more about the truth of the situation and about psychological independence.") but I did not find it. Could you indicate me what article it is ? by the way, all the subjects you are talking about are very interesting for myself and helping me in my healing journey - thank you for that.